Games Like Beyond Two Souls '+g+"
Check Our list of recommendations for interactive drama games like Beyond: Two Souls which offers similar gameplay. 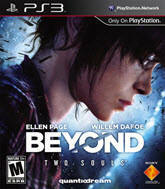 Beyond: Two Souls is an interactive drama action-adventure video game developed by Quantic Dream for PlayStation 3. It tells an interesting and emotional story of Jodie Holmes, a girl born with an connection to the soul of Aiden, a being trapped between life and death which grants her incredible powers like telekinesis and physical possession. They are now on the run from the law. Read the complete review of Beyond: Two Souls here. Remember Me is a third person sci-fi action adventure game developed by Dontnod and published by Capcom. It is a futuristic game where the player takes control of Nilin, a former memory hunter with the ability to access and modify people's memories. After having her own memory wiped clean, Nilin set out on a mission to recover her lost memories. The Wolf Among Us is a series of graphic adventure video game developed and published by Telltale Games based on Bill Willingham's popular award winning comic book series 'Fables'. It's a point-and-click adventure game, where the player control Bigby Wolf sheriff of Fabletown, as he investigates a series of grisly murders. Metal Gear Solid,....if you can think of more, then don't forget to mention it in comments.